Alzheimer's disease affects about 13 percent of individuals over the age of 65 and about 50 percent of those over the age of 85. Almost 15 million Americans spend their time caring for a person with Alzheimer’s dementia. If your love one suffers from this condition or starts to show early warning signs, you are probably very concerned and worried. You want the best for your family, and would do anything to help your loved one and your family cope as best as possible through this life changing situation. - How much time do you have before the condition would drastically impact and change your love one's life? - How long would it be before your love one forgets who you are? - Would he/she still be able to live on his/her own? Or is full-time care needed? - Will your love one die earlier than normal due to the Alzheimer's? "Alzheimer's Care" can help. 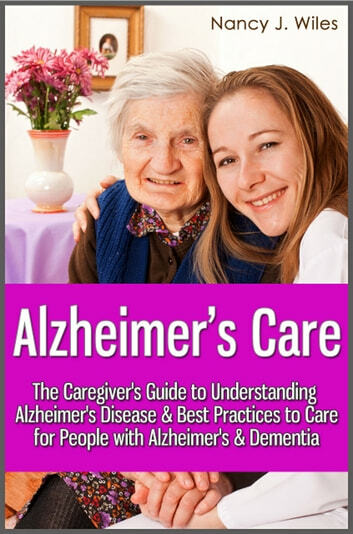 It will teach you everything you need to know about the signs & symptoms of Alzheimer's disease, how to deal with your emotions, family life, caregiving, and more. - What are the early signs of Alzheimer's dementia? - What are the 7 stages of Alzheimer's disease? 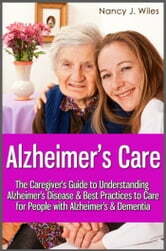 - Important safety issues in the care of Alzheimer's patients. - How to help Alzheimer's patient keep their memories for as long as possible? - What are the feeding & nutrition requirements for someone with Alzheimer's? - How to make eating pleasurable? - Ways to minimize the stress and frustration of family members. - Questions you must ask before selecting a nursing home for long-term care facility for your love one. - Simple techniques for communicating with Alzheimer's patient without getting frustrated. - How to effectively deal with behavioral problems? - How to improve the quality of life for your loved one? - How to take care of yourself, reduce stress, & prevent burn-out as a caregiver? The Everything Anxiety Disorder eBook! The Best Darn Anxiety Disorder Ebook!